The government of Gibraltar is to formulate a legal framework for tech startups and firms wanting to hold initial coin offerings (ICOs). The territory aims to become a leader in the fields of cryptocurrency and blockchain space. An ICO is a means of raising finance by, typically, early stage startups whose products and services have not yet been significantly designed, built or tested. In an ICO, tokens are sold to early supporters of a project in exchange for cash or cryptocurrency, such as bitcoin or ether. Tokens vary widely in design and purpose, and in some cases, they represent securities, such as shares in a company. More often, tokens serve some cryptocurrency or functional use that is unregulated, such as prepayment for access to a product or service that is to be developed using funds raised in the ICO. ICOs proliferated during 2017 with over US$3.5 billion being raised through the method to date, exceeding the amount raised by traditional venture capital funding during the same period. The novel fundraising method is rising in popularity in the startup community and across the world, including in Gibraltar. While being part of the European Union, the British overseas territory of Gibraltar has a separate jurisdiction from the UK and enjoys a different tax system. Often qualified as a tax haven, Gibraltar is a global center for offshore banking and for these unique specificities, a horde of startups has decided to set up in the territory. Several popular startups have launched ICOs in the British territory. One such famous ICO was Globitex, an institutional class Bitcoin exchange which raised EUR 10 million in its ICO in February. Another startup based in Gibraltar called Covesting raised US$15 million in its token sale in December 2017. The startup is developing a versatile trading platform created to bring copy-trading professional asset management to the cryptocurrency landscape. As with other forms of crowdfunding, raising finance by means of an ICO is unregulated in Gibraltar. But the government is looking to change that, releasing in March 2018 a whitepaper that hints on how it is planning to regulate the practice. The government proposes new legislation to regulate activities conducted in or from Gibraltar that involve the promotion, sale and distribution of tokens, operating secondary market platforms trading in tokens, and providing investment and support services relating to tokens. The Gibraltar Financial Services Commission (GFSC) will be the authority responsible for supervising these activities. 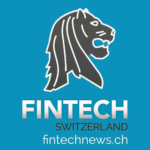 But most particularly, the draft regulation introduces the concept of “authorized sponsors.” An authorized sponsor will need to be appointed for every public ICO and who will be “responsible for ensuring compliance with disclosure and financial crime rules.” The GFSC said it will establish and maintain a public register of authorized sponsors and their respective past and present codes of practices. With this new legal framework, Gibraltar hopes to provide an environment of certainty that will attract more foreign startups and businesses. The move follows Gibraltar’s distributed ledger technology (DLT) regulatory framework, which came into effect on January 1, 2018, and is aimed at facilitating innovation in the field. 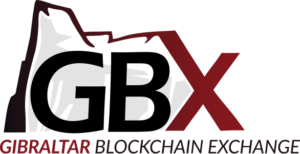 Already, domestic financial institutions including the Gibraltar Stock Exchange have began experimenting with and even deploying blockchain-based systems. Featured image: Ocean Village Marina in Gibraltar, Wikipedia.